A couple of days ago, I had parked my car next to this DP box. The box must have been red in color when it was installed. Now it had turned into many inexplicable hues due to rust and wear and tear. I quickly pencil sketched it and then took some photographs on my cell phone. Later I inked, and then colored it using watercolors and watercolor pencils. I have been always a batfan. A superhero with no superpowers, yet fighting the bad guys, was always an icon. Chris Nolan’s vision finally made justice to the true Batman. The latest and final installment in the Dark Knight trilogy left me spellbound. It was a fitting epic ending to an epic series. This is a tribute to the Dark Knight. 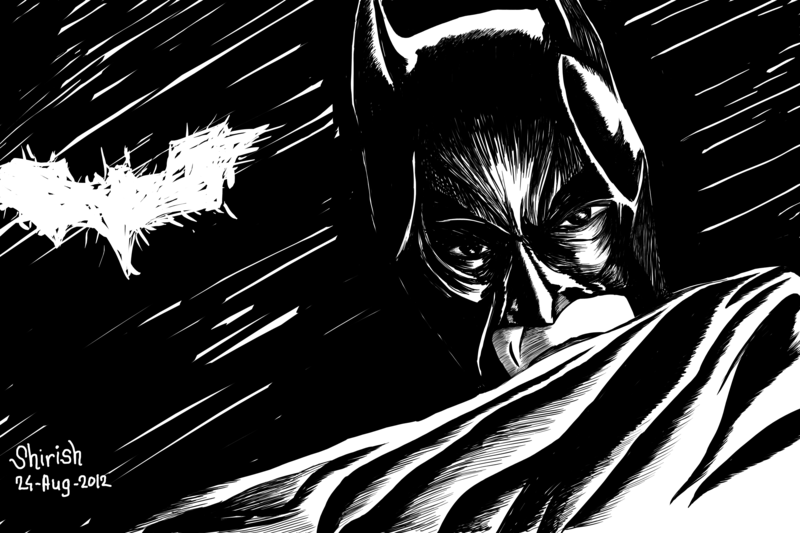 Drawn using the Wacom Intuos tab in GIMP. 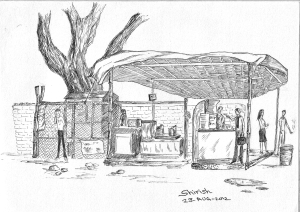 This is a small food and tea stall right behind my office. 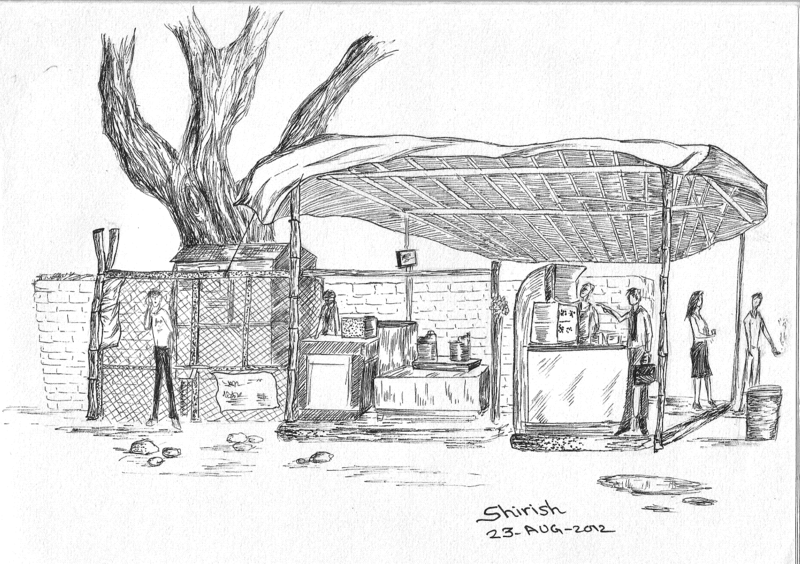 Today at lunchtime, I sat across the street from this stall and did a very quick outline of this stall in 5-7 minutes. 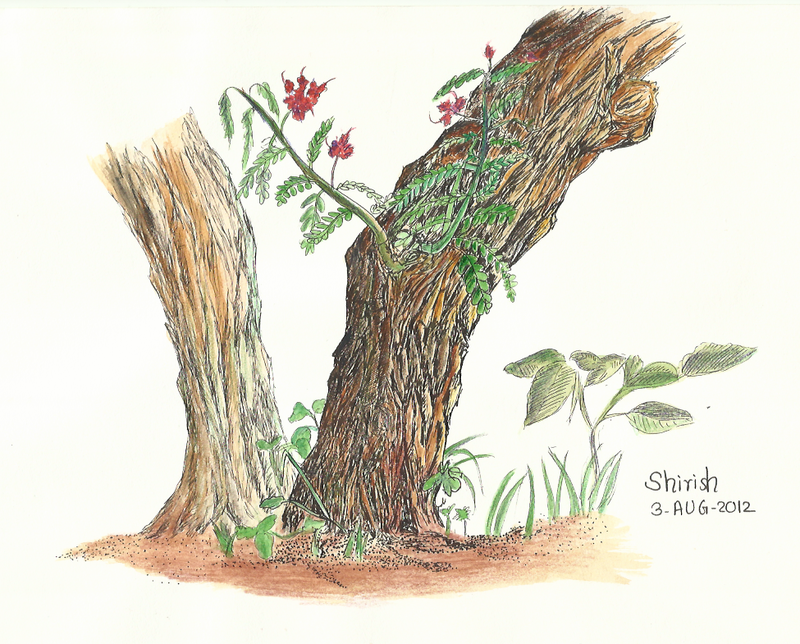 I completed this sketch during the evening using my Pigma Fineliner pens 0.2, 0.5 and 0.8. 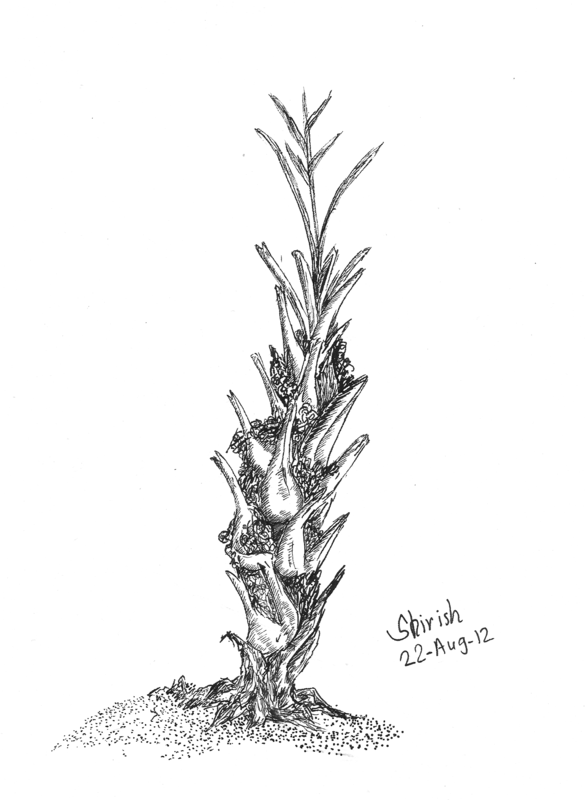 I did this sketch of this interesting shaped plant in my post-lunch walk. 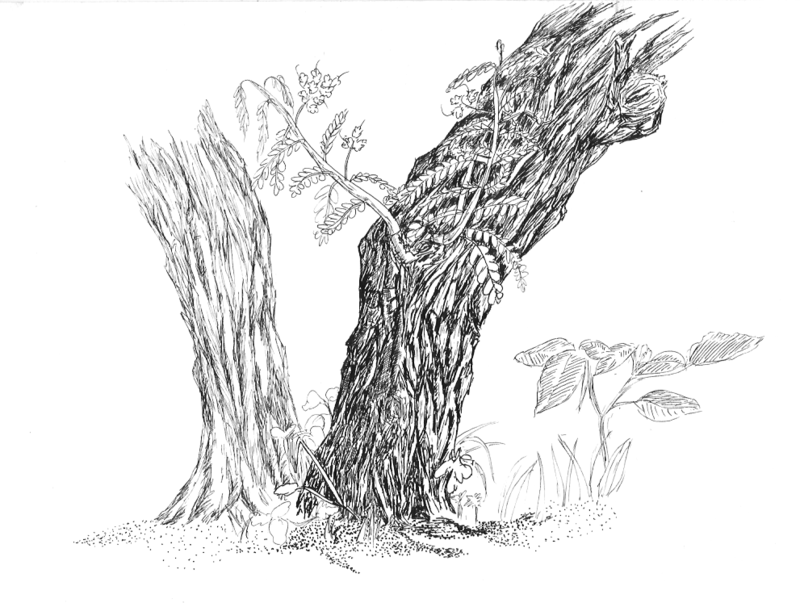 I did a quick 5 mins outline sketch of this plant, blocking in shapes. Then I did the hatching in my spare time. 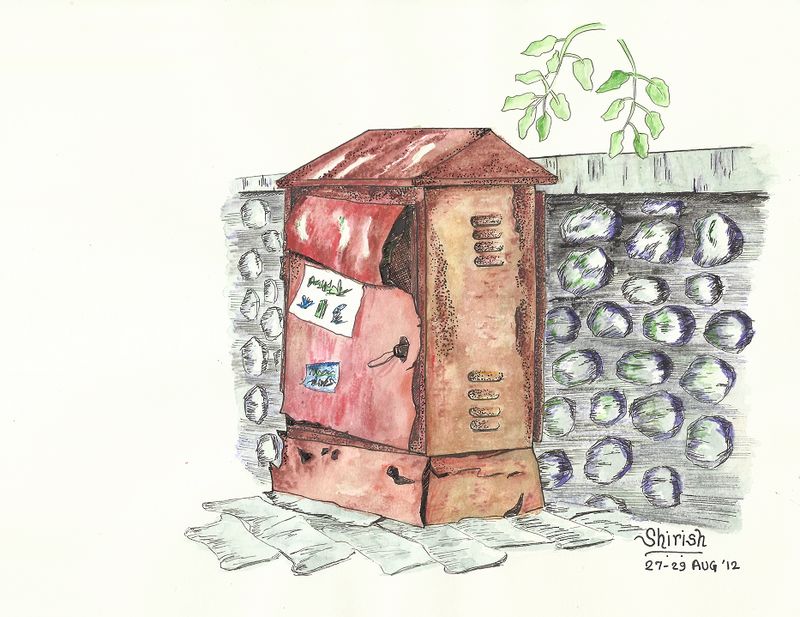 I did this concept sketch today evening. This concept of friendship between a giant tree and a little girl was going on in my mind since a couple of days. Today got some time to finally materialize this. 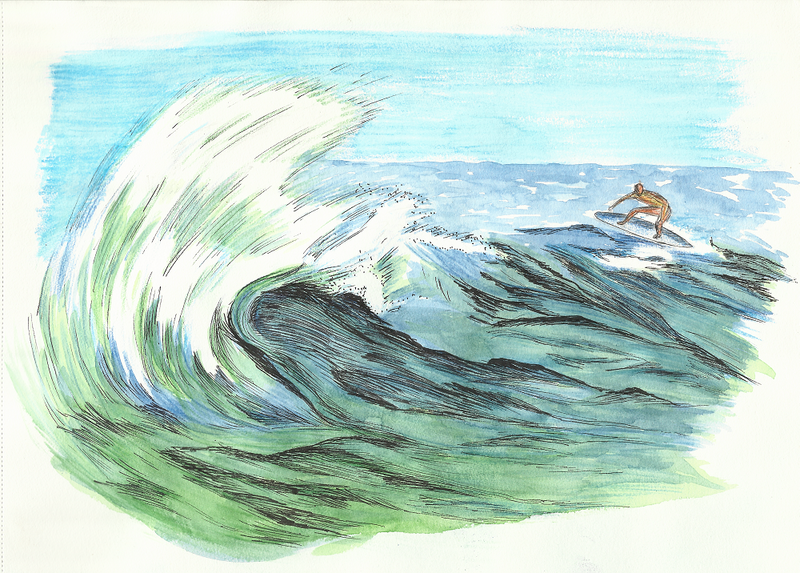 A quick, quick sketch of a surfer using fine point pens, water color and watercolor pencils. Drew this during my post-lunch walk. This rough tree had a new branch sprouting out of it. It has beautiful pink flower bunches on it. 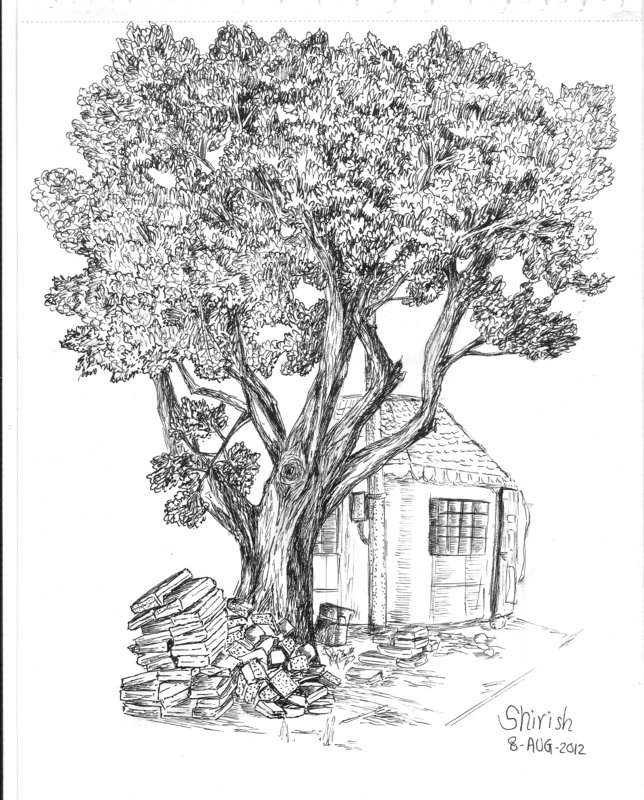 Drawn using fine point pens sizes 0.2, 0.5 and 0.8. And here’s the colored version. Coloring done using water colors and watercolor pencils.